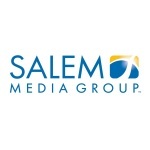 company’s website, located at investor.salemmedia.com. Dennis Prager, Michael Medved, Larry Elder, Joe Walsh and Eric Metaxas. RedState.com, HotAir.com, Twitchy.com and BearingArms.com.